Complete Wireless Control For Your Ride! RideController App uses Bluetooth 4.0 low energy to pair with RC hardware sold seperatly. The settings view allows custom circut icons and custom names. RideController has an effective range of 80FT-150FT when the RC hardware is mounted inside your vehicle cab or a plastic waterproof enclosure. RC Hardware comes with a custom six digit passcode, that way you and only you can #ControlYourRide. 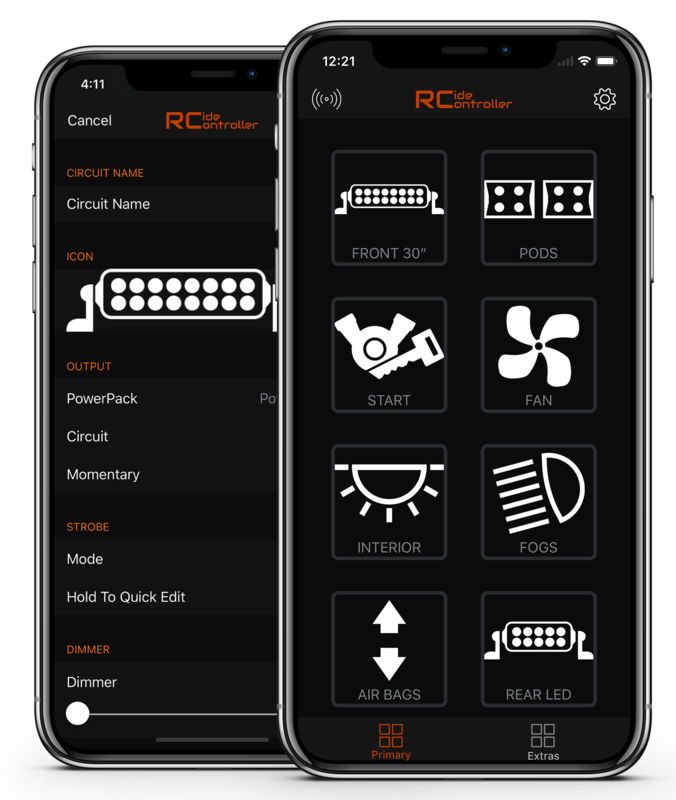 RC supports Android 5.0+ and iOS 9+ devices. 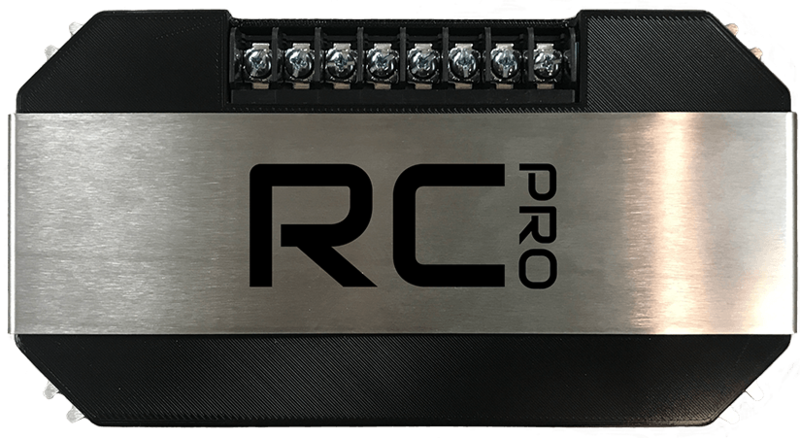 The RC Pro hardware brings to market a smart power distribution system designed for any vehicle! 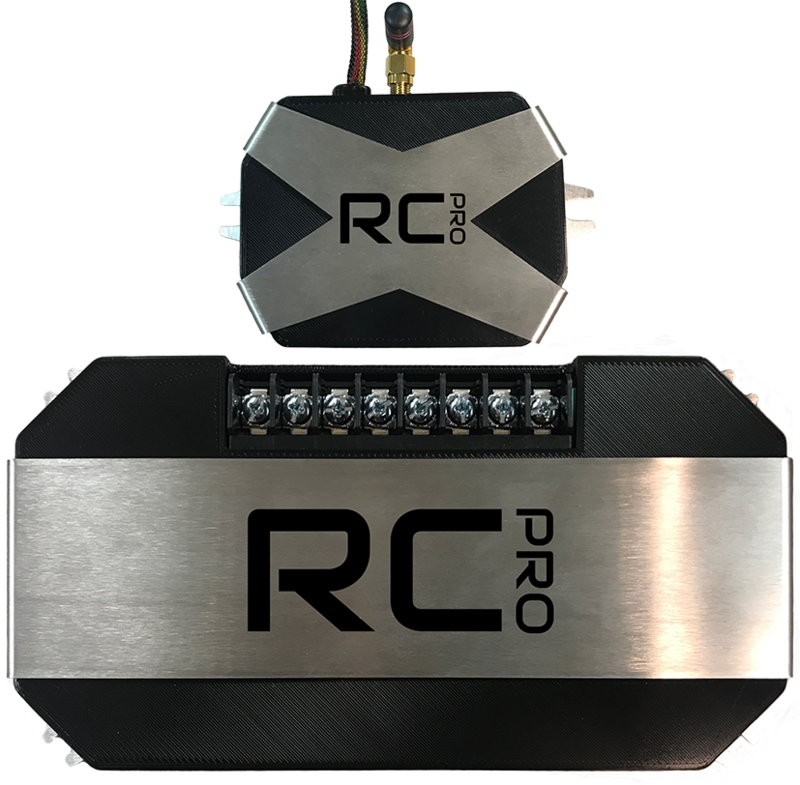 The RC Pro has 8 (max 64) powered outputs rated @ 30AMPs each along with integrated self healing fuses. This is one of the first wireless circuit controllers that enables up to 64 output channels that can be controlled from a smartphone / tablet, or physical switch inputs. This is a true plug and play system that is simple enough for anyone to install. 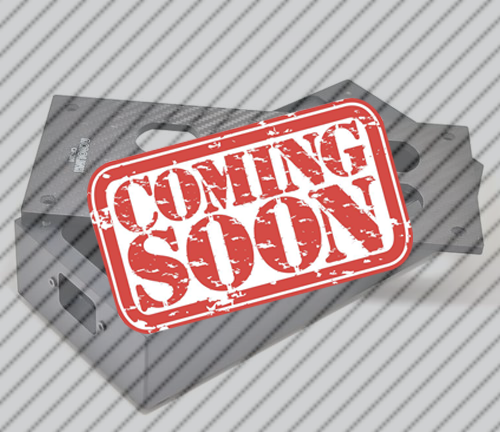 The all new RC4 has 4 powered self healing outputs rated @ 20 AMPs each. If you are skilled with wiring this should be no problem for you to install. Otherwise any automotive or custom shop will be able to install following our basic installation documentation. RideController supports portrait and landscape modes on all the popular Android Tablets and iPad Models released within the past two years. This makes it very simple to wire up a RideController, then mount an iPad somewhere in your interior to wirelessly manage all your 12V accessories. 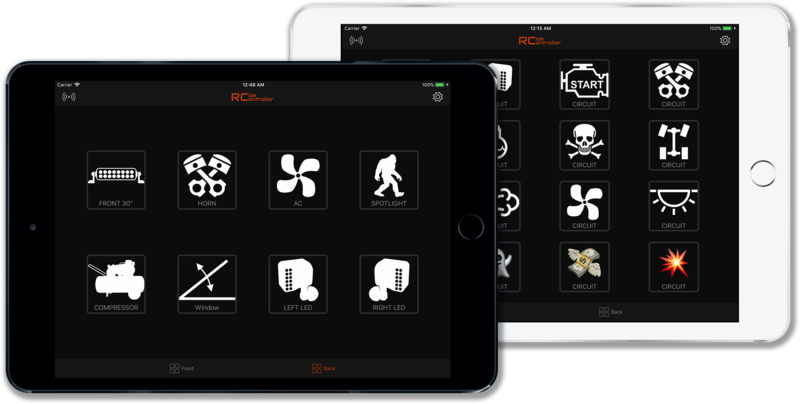 Using a RideController Control Center & iPad Mini in dash allows this RZR to run fully without any physical switches on the vehicle (switches can be run in tandem if desired). 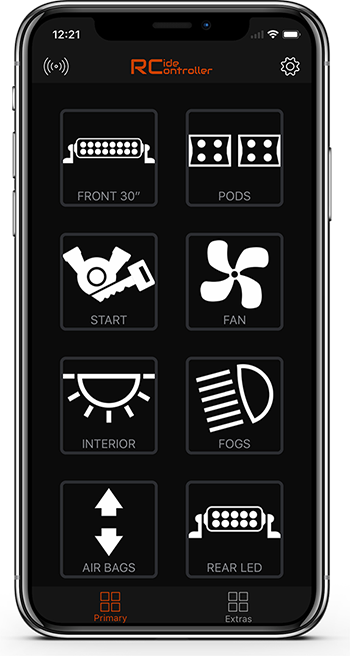 Headlights, amplifiers, front light bar, underglow LEDs, and remote start are all controlled via an iPad Mini running the RideController app. Purchase A RideController Today #ControlYourRide!